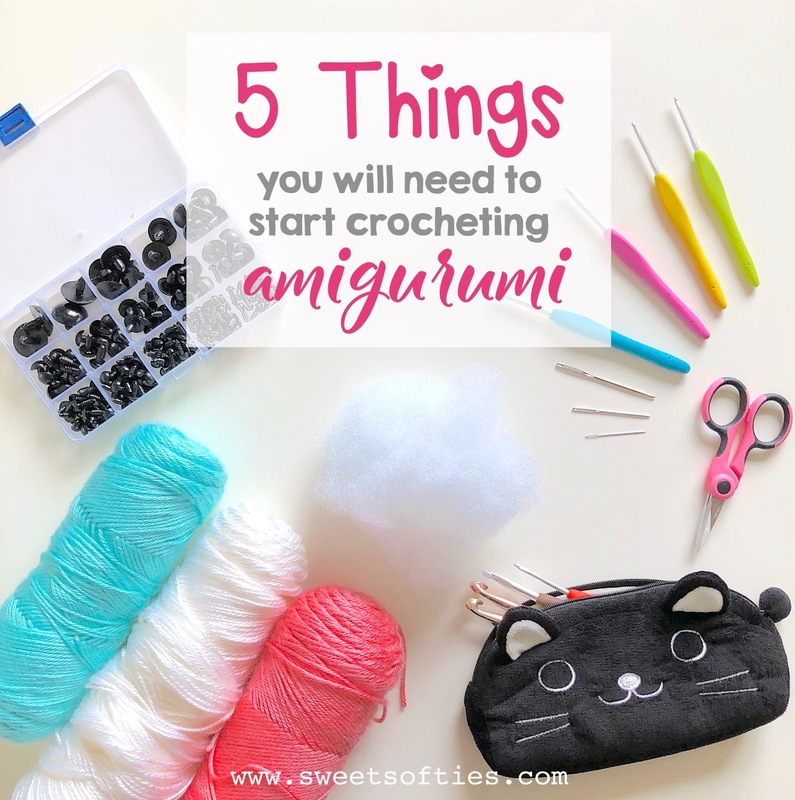 5 Basic Materials & Supplies to Start Crocheting Amigurumi! 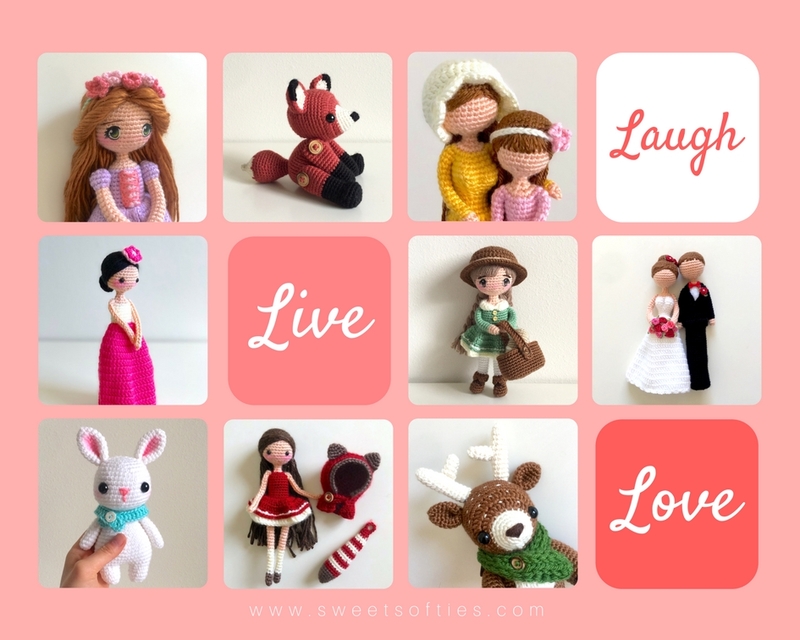 Want to try your hand at crocheting cute amigurumi dolls and animals, but don't know where to start in terms of materials and supplies? Here are my recommended products for a beginner crocheter! With these 5 basic materials/supplies, you can get started on this wonderfully fun hobby! First and foremost, you'll need to get some good hooks. I've used a variety, from Susan Bates to Loops & Threads hooks. My favorite by far would have to be Clover Amour hooks! I've really taken a huge liking to their easy grip handles and hook shape. They are very comfortable to use and I have not had any aches or pains in my hands from using these...contrary to my experience with some other brands! Standard yarns to use for amigurumi patterns would be medium weight (4), or worsted weight, yarns. I also see DK or Light Worsted weight yarn on occasion, which is a light weight (3) yarn. Information about yarn weights are usually clearly listed on the yarn packaging or in the listing description if you're purchasing online. For reference, yarn weights generally range from 0 to 7, and below is a very nice table from Moogly to illustrate this! For beginners making amigurumi, I would recommend using 100% acrylic yarns, as they are considered to be on the cheap end of the spectrum and usually come in a good variety of colors! More expensive yarns, such as silk, wool, or cotton-blends, would be good options to consider for projects that will end up being worn (e.g., scarves, hats, clothing, etc). I have only ever made amigurumi with 100% acrylic yarns that are specifically soft to the touch, and feel that they hold up quite well and you really get the biggest bang for your buck this way. Below are my favorite yarn brands and types to use! If you're making dolls, stuffed animals, and other toys, you'll likely need some fiberfill stuffing! Sometimes, crocheters will add yarn scraps, or scrap pieces of fabric inside of their amigurumi as well. Most amigurumi projects require sewing pieces together, so you will also need some yarn needles. They are large-eyed needles with dull points, and suitable for sewing with yarns. If you'd like to give your amigurumi creations some plastic safety eyes, rather than sewing eyes using yarn, you can purchase a set of plastic safety eyes for a pretty low cost! I like sets because I never know which eye size and shape is best until I'm ready to try them on the doll! Smaller amigurumi projects tend to use smaller eyes, and larger ones, larger eyes, so if you're looking to make a variety of creations, a set of varied sizes would be a good way to go! Lastly, a mandatory supply that you'll also need would be a pair of scissors. You'll need scissors to cut yarn when you're changing yarn colors, fastening off, or after sewing parts together. One optional but recommended item I can think of would be a small bag or pouch that can fit your crochet hooks, and a storage system for your yarns and other supplies. Whew! This may seem like a pretty big list to get started, but trust me -- once you get the hang of and find joy in this wonderful hobby, you'll be grateful to have gotten into it! Crocheting is a fantastic fiber art that truly brings me happiness, and I hope that you'll feel the same way too! For now, have some eye candy to get you motivated! If you'd like to get started with some FREE and beginner-friendly patterns, please check out my free designs!